The North's latest threats also singled out Japan for "dancing to the tune" of the United States. Regional tensions have risen markedly since the reclusive North conducted its sixth nuclear test. 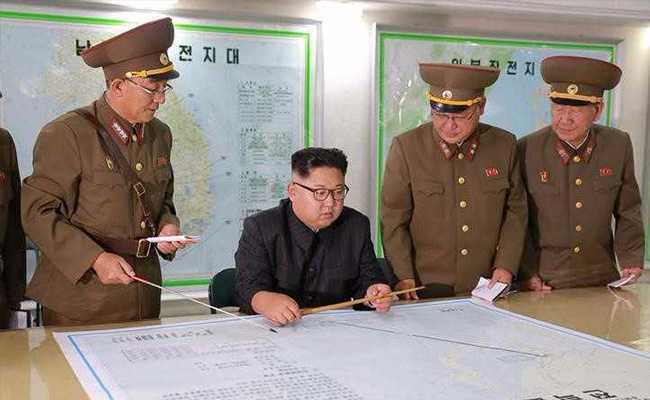 Seoul/Japan: A North Korean state agency threatened on Thursday to use nuclear weapons to "sink" Japan and reduce the United States to "ashes and darkness" for supporting a U.N. Security Council resolution and sanctions over its latest nuclear test. Japan's Nikkei stock index and dollar/yen currency pared gains, although traders said that was more because of several Chinese economic indicators that were released on Thursday rather than a reaction to the North's latest statement. North Korea had already categorically rejected the Security Council resolution imposing sanctions over its latest test, vowing to press ahead with its nuclear and missile programmes in defiance of international pressure. U.S. President Donald Trump has vowed that North Korea will never be allowed to threaten the United States with a nuclear-tipped missile, but has also asked China to do more to rein in its isolated neighbour. China in turn favours an international response to the problem.